Julia Munsey joined MITC in 2017 to serve as Director, Membership and Corporate Development. Previously, Julia was a Partner in Dougherty Project Management, a Bangor-based project management company specializing in Technology, Business Process, and Marketing Communication projects. She was the project manager for the Maine Troop Greeters Museum located at Bangor International Airport. Prior to joining Dougherty Project Management, Julia was the Director of Marketing and Communication for Oxford Networks, a Maine-based technology services provider. She holds a Bachelor of University Studies degree from the University of Maine with a concentration in Communication/Public Relations. Munsey also holds a national Accreditation in Public Relations, or APR, from the Public Relations Society of America. In addition to her professional work, Julia is an active community volunteer. 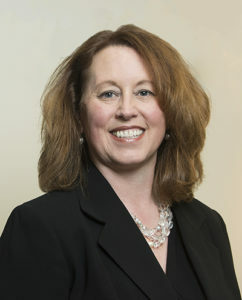 She currently serves as a Member of the Friends of the Cross Insurance Center Advisory Board, Board Member of the Girl Scouts of Maine, and Chair of the University of Maine Alumni Association board of directors. She is a past Chair of the Board of Directors for the Bangor Region Chamber of Commerce, Leadership Team Member for the successful Arena Yes! Campaign, Board Member and Development Committee Chair for the American Folk Festival, Board Chair for the Maine State YMCA Camp, and a former President, Vice-President, and Committee Chair for Tuesday Forum. In 2013, Julia was named the 2013 Juliette Award Honoree by the Girl Scouts of Maine for inspiring girls to become women of courage, confidence, and character, who make the world a better place.